The Netherlands Malacological Society (NMV) issues several journals, among which Basteria and their member contact journal (now Spirula, formerly Correspondentieblad). These two journals have been digitized and are now available online via Natuurtijdschriften site (with the exception of the most recent issues). 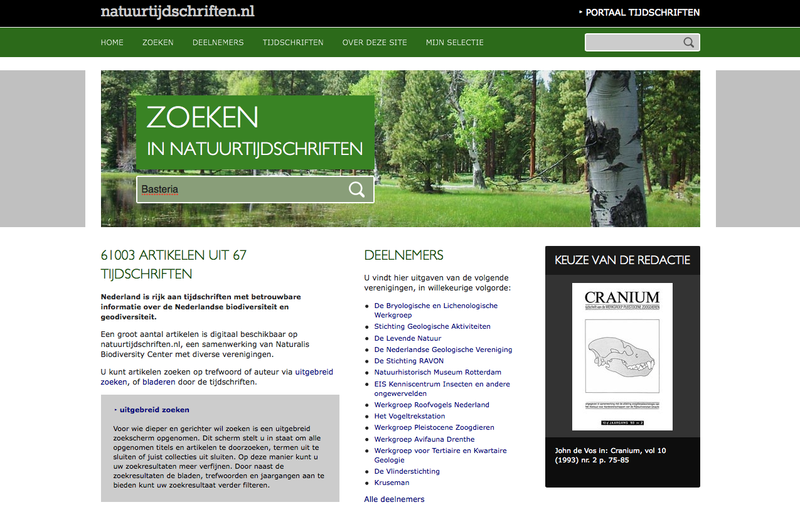 Via the link ‘uitgebreid zoeken’ you are able to specify your search and find specific authors, keywords or volumes. Have fun exploring this new source of digitalized literature! This entry was posted in Uncategorized on April 1, 2016 by bramb.